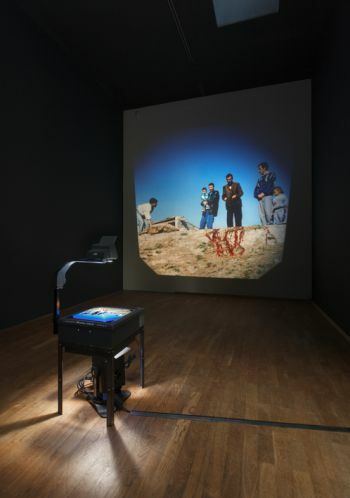 Kader Attia (b. 1970) has been considered one of the most influential artists of his generation ever since his startling presentation at the last documenta, if not before. The MMK Museum für Moderne Kunst Frankfurt am Main is now devoting a comprehensive solo exhibition to Attia, who grew up in Algeria and Paris. His experiences of two very different cultural milieus form the basis for his artistic praxis. In works as aesthetically impressive as they are ethically ambitious, Attia concerns himself with the concept of “repair,” which he has been exploring for many years. The artist distinguishes between two approaches to repair: the patched artefacts of ethnological collections openly show their seams and clamps and thus the history of the object. This ostentatious, traditional form of repair does not conceal but rather reveals the different stages of development inherent to the object, and thus the ideologies of the past and present. The Western conception of repair, on the other hand, pursues an ideal of perfection by striving for the flawless re-creation of the original state. Attia applies these two concepts to widely differing fields of knowledge and technologies and denies them unilateral cultural classification by pointing out comparable phenomena in various cultural spheres. His interest here is not with a reconciliation of cultural differences but with the keener perception of pluralities. For the exhibition Sacrifice and Harmony at the MMK 1, Kader Attia has developed a new group of work that further develops his concept of reappropriation and repair. In the process, he also directs his attention to religiously and politically motivated sacrificial rituals. Sacrifices were originally intended as a means of harmonizing orders; in globalized societies, Kader Attia understands them as a political instrument of fear used to destroy peaceful coexistence and social harmony. He has developed a series of works that form a route through the exhibition at the MMK. The visitors will make their way through spaces that offer an experience of the interplay between confinement and expanse, severity and poetry, historical and present conflicts. Attia’s art symbolically spells out the repressed wounds of a society. For the artist, the presentation of his works in a museum represents a decisive step in the development of his œuvre as an instrument for dissolving stereotypes and thought patterns.